Bansko: Unique fusion of ancient tranquility and contemporary luxury | Imoti Bansko Ltd.
22.06.2016 Author: Imoti Bansko BG Ltd. The property construction boom in the mid noughties in Bulgarian resorts for example the seaside ones was at best rocky and at worst terrible! However, the story is not the same for the resort of Bansko, a very popular ski and winter sport destination for travel lovers. What can we say about the layout of this town, it has come along so much since its early day in which it was considered an alternative to Pamporovo and Borovets due to the relative hustle and bustle in those resorte. 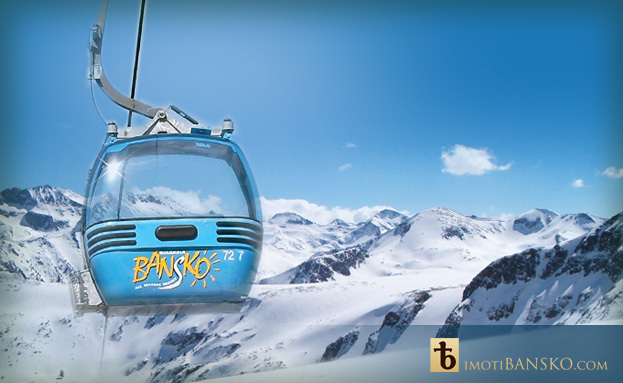 Nowadays Bansko is entirely a fully fledged happening resort in its own right. The construction boom gave this resort more rooms that could be filled and although this isn't brilliant news for the property owners right now but it will be a lucrative investment for the future. For Skiers and holidaymakers the high price of a ski pass it more than made up for by the cheapness of food, drink, accommodation and properties, this makes Bansko an attractive destination. The majority of travellers to Bansko, as mentioned are Skiers, and why wouldn't they flock here. The Bansko ski resort have over 75KM of ski runs. If you need proof of the quality of the ski runs, the alpine ski world cup has been held here twice already. The resort is covered for lack of snowfall and even global warming by artificial snow machines and a well run infrastructure. The only thing that will stop Skiers from coming here in the future is if it is internationally banned! Setting skiers and snowboarders aside for a moment, Bansko has other draws, the town is old and new. Local tradition says it was created by Tsar Samuil's soldiers who were blinded during the 10th century. The town itself is full of things to discover, religious buildings (listen for the bells ringing throughout the streets), secret tunnels and escape routes to support the effort against the ottoman attack of the town. If you like souvenirs you will not be disappointed there are plenty of opportunities to get your hands on a “priceless artifact” from a local shop, priceless because it will remind you of Bansko and Bulgaria forever. In the new areas of the town, there is a great multicultural vibe, getting around is easy, plenty of multi lingual signs. Restaurants and Taverns are aplenty with some of the highest quality chefs and food available in all of Bulgaria. The nightlife is just as good, perfect for a little apres-ski in a beautiful Bulgarian resort. 25.09.2017 Author: Imoti Bansko BG Ltd.